February 7, 2018 by Laurie 1 Comment This post may contain affiliate links, which means if you click on a link and purchase something, I may earn a small commission (at no additional cost to you.) See my disclosure policy HERE. Toys R Us is hosting a free LEGO Heroes Event on February 10th for kids ages 8 and up! 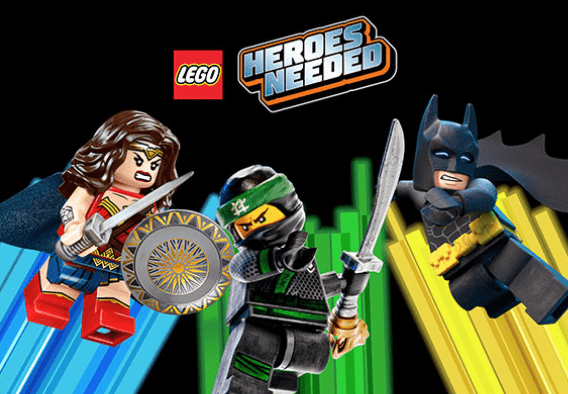 From 12-2PM, kids will get to build and share LEGO creations with #HeroesNeeded, and get a 40% off select LEGO set coupon. Go HERE for more info! Is your kiddo part of the Geoffrey’s Birthday Club? Club members will get a special coupon about a month before their birthday for a surprise gift (like a free plush and storybook). You can join for free HERE.